AAMH proudly partners with leading national and international organizations to deliver programs in mental health across the Asia Pacific region. St Vincent’s is a tertiary public healthcare service. We provide a range of services, including acute medical and surgical services, emergency and critical care, aged care, diagnostics, rehabilitation, allied health, mental health, palliative care and residential care. We work with a vast network of collaborative partners to deliver high quality treatment, teaching, education and research. We have more than 5,000 staff and 880 beds in daily use across our services.and enriching the relationship between the two countries. Asialink is Australia’s leading centre for the promotion of public understanding of the countries of Asia and of Australia’s role in the region. We are a key provider of information, training and professional networks. Asialink’s mission is to work with business, government, philanthropic and cultural partners to initiate and strengthen Australia Asia engagement. Asialink excels in “soft diplomacy” – delivering high-level forums, international collaborations, leadership training, education, community health and cultural programs in Australia and Asia. Asialink is an affiliate of The University of Melbourne and an initiative of the Myer Foundation. Austin Health operates 980 beds across acute, sub-acute and mental health with a 2011-12 annual operating budget of more than $700 million. The Australia India Institute (AII) is a leading centre for the study of India. Through its teaching, research, public policy and outreach programs, it is building Australia’s capacity to understand India. AII is also a hub for dialogue, research and partnerships between India and Australia. Based at the University of Melbourne, the Institute hosts a growing range of programs that are deepening and enriching the relationship between the two countries. 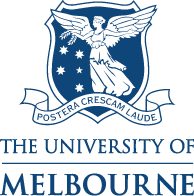 The University of Melbourne established the Australia India Institute in October 2008. In 2009, funding for the Institute was provided by the Australian Government Department of Education, Employment and Workplace Relations. Both the University of New South Wales and La Trobe University were also founding partners. In 2012 the Department of Industry, Innovation, Science, Research and Tertiary Education and the State Government of Victoria provided additional core funding. The Ministry of Culture, Government of India, is funding a Tagore Centre for Global Thought at AII – one of three Centres globally that are being funded by the Government of India. AII will host a Chair in Indian Studies, funded by the State Government of Victoria and the University of Melbourne and a Visiting Chair in Indian Studies sponsored by the Indian Council for Cultural Relations. The Australia-Indonesia Institute (AII) was established by the Australian Government in 1989 to contribute to a more broadly based and enduring relationship between Australia and Indonesia and to project positive images of Australia and Indonesia in each other’s country. To promote in each country increased exposure to the other through media, educational, cultural, sporting and professional activities. To create in Indonesia a nucleus of people with expertise in Australian affairs, especially current and future opinion leaders. To create within Australia a wider range of people with knowledge about Indonesia, especially current and future opinion makers. To portray Australia as culturally diverse, educationally, scientifically and technologically advanced and economically enterprising. To increase understanding of and to improve access for Australians to the cultural diversity of Indonesian society. The Australia-Japan Foundation (AJF) was established by the Australian Government in 1976 to expand and develop contact and exchange between the peoples of Australia and Japan and to help project positive images of Australia and Japan in each other’s country. As a part of the implementation of the Australian Government’s response to the Review of Corporate Governance of Statutory Authorities and Office Holders, the Australia-Japan Foundation was re-formed within the Department of Foreign Affairs and Trade on 1 December 2006. The AJF has its headquarters in Canberra and is supported by an office at the Australian Embassy in Tokyo. The Australia-Korea Foundation (AKF) was established by the Australian Government in 1992 to promote bilateral relations between Korea and Australia. The objectives of the Foundation are to increase public awareness of Australia in Korea and of Korea in Australia; develop partnerships in areas of shared interest in the bilateral, regional and global context; and increase Australians’ capacity to effectively engage with Korea. The AKF offers annual funding rounds for Grants and Scholarships to organisations and individuals to support projects or activities which advance Australia’s engagement with Korea, including exchanges, partnerships and other collaborations in the general fields of business, education, academia, arts/culture and society. Our mission is to provide national leadership to reduce the impact of depression and anxiety in the Australian community. Mental health conditions don’t discriminate, and neither do we. We focus on people of every age, at every stage of life, with programs and initiatives to approach the issue from every angle. beyondblue has established five key result areas that guide everything we do. Each area has a number of objectives that help measure the impact of our work, and ensure our programs and initiatives remain focused on achieving our vision and mission. The Dax Centre promotes mental health and wellbeing by fostering a greater understanding of the mind, mental illness and trauma through art and creativity. It incorporates the Cunningham Dax Collection, a collection of over 15,000 works created by people with an experience of mental illness and trauma. The Dax Centre’s activities include: an annual program of exhibitions, as well as touring exhibitions that travel interstate and internationally; an education program for secondary and tertiary students; public programs, professional development and research. Our vision: Better health and active ageing for all Australians. The Department of Psychiatry is committed to the prevention of mental illness and improved quality of life for individuals affected by mental illness both nationally and internationally. We aim to be recognised as world leaders in education and research in biological, applied and translational psychiatry. Driven by our Statement of Caring, Janssen embraces research and science – bringing innovative ideas, products and services to advance the health and well-being of people. Janssen is a leading research-based pharmaceutical company, employing more than 340 staff in Australia. Janssen provides prescription medicines for a range of conditions in the areas of mental health, neurology, women’s health, haematology, gastroenterology, and pain management. Four Janssen medicines are included in the World Health Organisation’s Essential Drug list. Mental Illness Fellowship Victoria is a member-based, not-for-profit organisation that works with individuals and families whose lives are affected by mental illness. Our programs support people to bring about positive changes in their lives in the areas of employment and education, finding and keeping a home, improving physical and mental wellbeing, and strengthening relationships with friends, family and the community. Our model of support brings together evidence from research with understanding of people’s lived experience of mental illness. We work in partnership with people to assist them to identify their own needs and goals, and to support them along their individual pathways to recovery. We aim to ensure that our services are culturally sensitive, meeting the diverse needs within our community. We recognise that people’s cultural backgrounds, religious beliefs, gender and sexual identity can have an important part to play in their mental health. Mind Australia is a leading provider of community mental health services. We support our clients to live independent, productive and purposeful lives. Underpinning our work is a belief that it is possible for everyone to have a full and meaningful life, including people with severe and persistent mental health issues. Our approach to our work with clients is described in our Model of Recovery-Oriented Practice. Through engagement with the community and the Myer family, our mission is to build a fair, just, creative, sustainable and caring society through initiatives that promote positive change in Australia. Through generous support from the Myer Foundation, AAMH was established to have far and wide-ranging impact in the region for Australia. NorthWestern Mental Health is one of the largest publicly funded providers of mental health services in Australia. It operates in partnership with Northern Health (Northern Hospital, Broadmeadows Health Service, Bundoora Extended Care and Craigieburn Health Service) and Western Health (Sunshine and Western Hospitals). The Royal Australian and New Zealand College of Psychiatrists (RANZCP) is responsible for training, educating and representing psychiatrists in Australia and New Zealand. We are committed to creating better mental health outcomes for our community. represents psychiatrists with government, community groups and health workers. Headed by Jack Heath, SANE is a leading independent NGO campaigning for the one in five Australians affected by mental illness every year. SANE relies exclusively on donations and grants to achieve its goals and receives no ongoing government funding so every dollar counts. The Victorian Health Promotion Foundation (VicHealth) is a pioneer in health promotion – the process of enabling people to increase control over and improve their health. Our primary focus is promoting good health and preventing chronic disease. We create and fund world-class interventions. We conduct vital research to advance Victoria’s population health. We produce and support public campaigns to promote a healthier Victoria. We provide transformational expertise and insights to government. Of all the things we do, above all we seek to make health gains among Victorians by pre-empting and targeting improvements in health across our population, fostered within the day-to-day spaces where people spend their time, and with benefits to be enjoyed by all. The Department of Health is committed to achieving the best health and wellbeing for all Victorians. Dr Pradeep Philip is the Secretary of the Department of Health, one of eleven state government departments in Victoria, Australia. Pradeep oversees and administers the entire department, which covers the responsibilities of the Ministers for Health, the Minister for Ageing and the Minister for Mental Health. The department has approximately 1,600 staff across five divisions and eight regions. Goulburn Valley Health is a 280 bed acute and extended care facility which provides surgical, medical, paediatric, obstetrics and gynaecology, intensive care and psychiatry services as well as extended care and regional services. It has two smaller sites at Rushworth and Tatura with acute and aged care beds. Goulburn Valley Health provides community services that compliment its inpatient role, such as Hospital in the Home, diabetes education, continence and aged care assessment, home based nursing and allied health. The Ministry of Health (MoH) is the government ministry responsible for governing healthcare, the healthcare industry, public health and health-related NGOs in Cambodia. The Ministry governs and regulates the activity of medical professionals, hospitals and clinics in the country. The National Program for Mental Health is a program of the Ministry of Health. Established in 1959, Guangdong Mental Health Institute, the only provincial professional institute for mental health in Guangdong Province, is an important base for clinic activity, scientific research and teaching for mental disease and mental health in Guangdong Province. It is in charge of the instruction, promotion and scientific research on the prevention and rehabilitation of mental diseases in Guangdong Province, as well as the training of physicians, etc. In 2003, it carried out resource integration with Guangdong General Hospital. The Institute of Mental Health (IMH), the Sixth Affiliated Hospital of Peking University (also known as the School of Mental Health, Peking University), is an integrated center for teaching, research and psychiatric service. It is designated by World Health Organization as WHO / Beijing Mental Health Collaborating Center for Research and Training and by the Chinese Center for Disease Control and Prevention (China-CDC) as the National Center for Mental Health. AAMH has had a long and fruitful partnership with Peking University since 2003. The Department of Psychiatry, Chinese University of Hong Kong (CUHK) was set up in 1981. Over the years the Department has become a research-intensive unit that provides a collaborative infrastructure, both locally and internationally, to support our growing portfolio of studies on diverse research themes of high public health significance. In creating a vision for the future of the Department, we have built research units, smaller than centres but growing by pooling collaborative efforts on focused areas, the vitality of our research infrastructure comes from the ability to support young researchers, junior faculty and postgraduate students alike, to advance their research careers. The Hospital Authority is a statutory body established under the Hospital Authority Ordinance in 1990, responsible for managing Hong Kong’s public hospitals and their services to the community since December 1991. The Hospital Authority is accountable to the Hong Kong Special Administrative Region Government through the Secretary for Food and Health, who also formulates health policies and monitors performance. At present, the Hospital Authority has a workforce of around 64,000 people, and manages 42 hospitals and institutions, 48 Specialist Out-patient Clinics (SOPCs), and 73 General Out-patient Clinics (GOPCs). Between these facilities, this means 27,000 beds, or about 4 beds for every 1,000 members of the public. Most of more than 30,000 TMU graduates serve in medical institutions and clinics, while many others are prominent figures in the fields of research, politics, and business. TMU has 7 colleges, 12 undergraduate schools and 14 graduate institutes as well as three affiliated hospitals – TMU Hospital, Wan Fang Hospital, and Shuangho Hospital. With approximately 3,000 beds, TMU is one of the largest health care systems and offers top-quality teaching, research and clinical services in the Taipei metropolitan area. We work continuously to improve the quality of teaching, research and clinical services with the goal of becoming a fully internationalized university that ranks in the top tier worldwide. Newly incorporated into the Fiji National University, the College of Medicine, Nursing & Health Sciences [CMNHS] is a merger of two of Fiji’s Oldest Health and Medical Institutions – The Fiji School of Medicine and the Fiji School of Nursing. The College has the vision to be the leading health workforce academic education and research institution in the Pacific Region. It strives for Excellence and Relevance in all that it does and focuses on graduating compassionate and competent health professionals who will improve the health of people in the Pacific Region. The College delivers undergraduate programs in medicine, dentistry, pharmacy, health, medical imaging, medical laboratory technology, public, nutrition, physiotherapy, nursing and midwifery. To extend the formal academic program, short courses are offered in areas such as reproductive health, trauma management, advanced life support and disaster management, emergency health, phlebotomy and treatment of Tuberculosis. The Ministry of Health’s vision is a Peaceful and Prosperous Fiji that values human dignity, promotes social security and human development and fosters good health and well-being for all citizens. It’s mission is to provide quality services through strengthened divisional structures and to reduce poverty by empowering families especially children and women at risk, advancing gender equality and strengthening communities in Fiji. The Office of the Director Curative Health Services oversees the operational functions of the three divisional hospitals and the two national hospitals. The three divisional hospitals are; Colonial War Memorial Hospital (CWMH), Lautoka Hospital and Labasa Hospital. The two national hospitals are; St. Giles Hospital and Tamavua/Twomey Hospital. The Department of Psychiatry at the Government Medical College, Chandigarh was started in February 1994 with outpatient services in Polyclinic Sector 22. Inpatient services were started in 1996 after the joining of Dr. Priti Arun and Dr. B. S. Chavan. From the very beginning the department has given a very high priority to the quality of care and human resource development in the field of psychiatry. The Department has been organized in such a way that psychiatric services are available round the clock and help is available immediately without a long waiting time. The Department has also given high priority to include patients and their families in treatment planning. Through active community outreach programs the department has been making constant efforts to receive feedback from the patients who dropped out from treatment as well as patients who do not seek treatment. Health education through pamphlets, video cassettes, articles in newspapers and radio talks is an integral part of the comprehensive treatment package. The Government of Gujarat’s aim is to strengthen the services of Mental Health at the hospitals for mental health and psychiatry departments of Medical colleges & for four District General Hospitals of the State. Apart from the 6 medical college psychiatry departments, state runs 4 hospitals for mental health (Ahmedabad, Vadodara, Jamnagar, Bhuj). Other than Navsari District General Hospital, 6 other District General Hospitals (Bharuch, Godhra, Mehsana, Palanpur, Junagadh, and Himmatnagar) provide psychiatry services. The District Mental Health Programme (DMHP) is a community based mental health care programme based on the guidelines of National Mental Health Programmes fully funded by the Government of India with the prime objective of reaching the un-reached. In Tamil Nadu, DMHP was launched in 1997 in Trichy and it was extended to Madurai and Ramnathapuram in 2001. Based on the efficacy of the project, the Government of India has extended the programme in another 13 districts in a phased manner in Tamil Nadu. The project partners with Dr.C Rama Subramanian (CRS) who also founded and leads a Trust to respond to the mental health needs of people. His words and deeds reflect his commitment for those silently suffering from mental disorders. Dr.C.Ramasubramanian, a psychiatrist by profession, responding to his father’s call to serve the persons with mental disabilities. The Directorate General of Health Services (Dte.GHS) is an attached office of the Department of Health & Family Welfare and has offices spread all over the country. The DGHS renders technical advice on all medical and public health matters and is involved in the implementation of various health services. The NIHFW, an autonomous organization, under the Ministry of Health and Family Welfare, Government of India, acts as an ‘apex technical institute’ as well as a ‘think tank’ for the promotion of health and family welfare programmes in the country. Ranchi Institute of Neuro-Psychiatry & Allied Sciences (RINPAS)’s major activity is the care of mentally unhealthy people by improving the quality, rehabilitation, community outreach programme, teaching and research activities. 1. Diagnostic & Therapeutic facilities for mental patients. 3. Professional & Para-Professional training in the field of Psychiatry, Clinical Psychology, Psychiatric Social Work and Psychiatric Nursing. 4. Expansion of mental health service at community level by providing training to medical & Para-medical personnel in the field. 5. Research in behavioral Sciences. Department of Health is implementing elements of the Government in the field of health, chaired by the Minister of Health who is under and responsible to the President. Department of Health has the task to assist the President in performing government duties in the health sector. The Indonesia community of schizophrenia care is a portal between patients, caregivers (colleagues and family), doctors (phsycologists and psychiatrist), sufferers, and survivors, to share experience, knowledge, and learning. KPSI began in 2001, when its founder Bagus Utomo created a mailing list about schizophrenia. Bagus felt that to accommodate sufferers and caregivers, a community should be built, especially when stigma is still a major issue. The organization is committed to facilitate governments, experts, and fundraisers to build more supportive programs about mental health, especially around schizophrenia and bipolar/manic depressive issues. The vision of the Ministry of Social Affairs is the realization of fulfilling the human rights based living quality of Persons with a Disability. Realization of pro-justice social rehabilitation of Persons with a Disability (PWD). Professionalism of social rehabilitation for PWD. Realization of the legal rights and technical policy of social rehabilitation for PWD. The PJS or Indonesian Mental Health Association is one of Indonesia’s leading organizations supporting consumers and carers across Indonesia. Founded and Directed by Ms. Yenirosa Damayanti, the organization focuses on support for families and consumers across schizophrenia, depression, bipolar, and anxiety. It plays a very strong role in advocating the Indonesian government on the rights of consumers and carers. National Institute of Mental Health was established in 1952 to improve the mental health of the general population through comprehensive and integrative research in psychiatry, psychology, sociology, social welfare and community health service, as well as the education of mental health professionals. In 1986, it merged into the National Center of Neurology and Psychiatry so as to make a more effective contribution to public mental health. NCNP currently have a broad range of research fields from biology, to clinical medicine and to administrative science for promoting effective policy making in national mental health care. NCNP is composed of 11 departments and a Center for Suicide Prevention. The vision of the University of Health Sciences is to improve the health status of all Lao people by providing qualified human resources for health to deliver quality of care services. It’s mission is to work together with organizational counterparts to train qualified human resources for health to improve the health of all people in the Lao P.D.R. The philosophical foundation of the University of Health Sciences is to provide the training and education so that future Human Resources for Health will be effective in improving health of communities even at the district level. There are only two psychiatrists in the entire country. Stigma attached to mental illness and mental health treatment is still prevalent. In the absence of any mental health legislation, there is little service provision outside the Vientiane Capital. BasicNeeds has promoted community mental health since 2005, piloting the Model for Mental Health and Development in Vientiane Capital and Borikhamxay Province. Working in partnership with the Ministry of Health, the programme works to build capacity within district health departments to identify, refer and support people with mental illness and epilepsy within their communities through training and support. As a result the government is now running outreach clinics and support services in both BasicNeeds project areas. BasicNeeds was heavily involved in drafting the first Lao PDR National Mental Health Strategy and plan in collaboration with the Ministry of Health and the WHO. This strategy will form the basis for BasicNeeds Lao to scale up and replicate the BasicNeeds model for mental health and development in other areas of the country. The mission of the Ministry of Health is to lead and work in partnership to facilitate and support the people of Malaysia to attain fully their potential in health, appreciate health as a valuable asset and to take individual responsibility and positive action for their health. The vision of the Ministry of Health of Mongolia is to strive to ensure the availability, accessibility, affordability and equity of quality health care services for all Mongolians. Health care will be provided through a needs-based health system which will specifically address the health issues affecting vulnerable groups (particularly the poor), and regulate and enhance the health sector’s human resource capacity. The ultimate goal of the Ministry of Health is to promote social and economic development through poverty alleviation. The Myanmar Medical Association, formerly the Burma Medical Association, is Myanmar’s only professional organization of physicians. MMA was founded in 1949 and has a current membership of approximately 17,000 members (2011). It is administered by a central executive committee and is divided into 26 different societies dedicated to a broad range of medical specialties. MMA holds an annual conference and also provides continued medical education for its members. Ninety years have passed since the inception of this Medical University in 1923. In addition to production of basic (undifferentiated) doctors, this University started producing postgraduate doctors in various branches of medical specialties since 1964. By 1998, this University reached the three tiers of the spectrum of postgraduate medical education, namely Diploma, Master and Doctorate. AAMH works with the Department of Mental Health, which is actively working to improve mental health services and research for Myanmar. The Institute of Mental Health (IMH) is a 2,000-bed acute tertiary psychiatric hospital situated on a 25-hectare campus at Buangkok Green Medical Park. Set amidst serene surroundings, IMH offers a comprehensive range of psychiatric, rehabilitative and counselling services for children, adolescents, adults, and the elderly. Our treatment integrates evidence-based therapies, supported by the departments of clinical psychology, nursing, occupational therapy, and medical social work, to provide holistic care for our patients. IMH is equipped with modern facilities, with 50 wards for inpatients and seven Specialist Outpatient Clinics. The vision of the Ministry of Health and Medical Services is that the People of the Solomon Islands will be healthy, happy, and productive. As health status is a key factor in improving all socio-economic development, it is a priority of all sectors involved in development efforts. It is the vision of the Ministry that the public’s health status must continually improve. The health sector’s mission is to play its part in improving the public’s health status. This will be done through: Proactive stewardship of the sector with a focus on Primary Health Care (PHC) and Healthy Islands efforts via active community empowerment and development; Building partnerships with communities, other sectors (like agriculture, education, labor, transport, infrastructure, etc.) and Provincial Governments will be crucial in achieving these initiatives; and the sector will also plan and manage health improvements with a focus on reducing the determinants of disease and illness including improved disease management. The Tiapapata Art Centre was first established in Samoa in 1989 and is registered with the Government of Samoa as a Charitable Trust. It’s Patron is His Highness Tui Atua Tupua Tamasese Ta’isi, Head of State of Samoa. That arts and crafts enrich society. The Department of Mental Health, Ministry of Public Health is entrusted with the duty of technical dissemination and provision of mental health care to the people. Established in 1994, growing mental health expertise is the main priority at the national level of DMH. There are 4 missions; to promote people’s mental well-being, to strengthen mental health network, to elevate quality and access of mental health service system, and to set up the mechanism of mental health development. The organizations under the authorization of DMH Department of Mental Health consists of 18 Psychiatric hospitals/institutions located all over Thailand providing mental health services for all age group people; 14 Mental Health Centers standing in every region across the country , support all the projects regarding to mental health prevention and promotion development in cooperate with local authorities and Central Academic Organizations. The Ministry of Health (MOH) is the government ministry responsible for the governance and guidance of the health, healthcare and health industry of Vietnam. In conjunction with other ministries and the prime minister’s office, the Ministry is responsible for creating and promulgating long-term health policy programs such as the “National Strategy on Nutrition for the 2001 – 2010 period” and the “National Policy on Injury Prevention 2002 – 2010”. Its main offices are located in Ba Dinh District, Hanoi. WHO collaborating centres are institutions such as research institutes, parts of universities or academies, which are designated by the Director-General to carry out activities in support of the Organization’s programmes. Currently there are over 800 WHO collaborating centres in over 80 Member States working with WHO on areas such as nursing, occupational health, communicable diseases, nutrition, mental health, chronic diseases and health technologies. AAMH is proud to be a WHO collaborating center, with our activities contributing to the goals of the WHO.